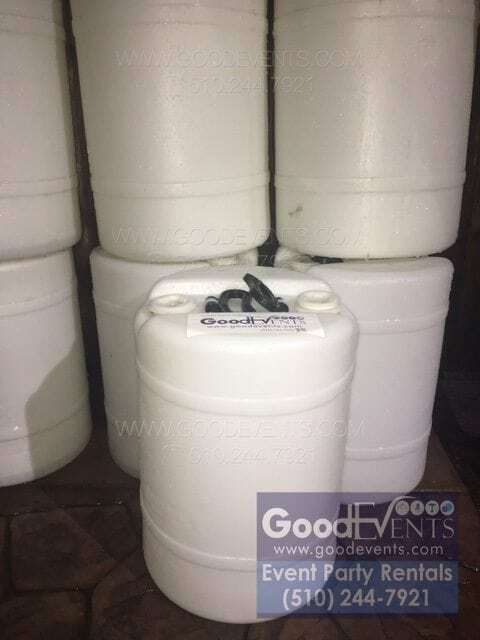 ***Customer must provide hose and water for us to fill the barrels*** If there is no water closer to the tent we totally recommend to add BARRELS READY TO USE and we will bring them ready. 20′ x 30′ Tent With Window Walls, Include Set Up & 8 Barrels (Medium) For Safe Tie Down Equipment, Customer To Provide Water. Make sure you have a way to plan your event – whether that be a small backyard party or big corporate event you always count with us, lets plan together! ©2019 Good Events. All rights reserved. GOOD EVENTS® Event Party Rentals.